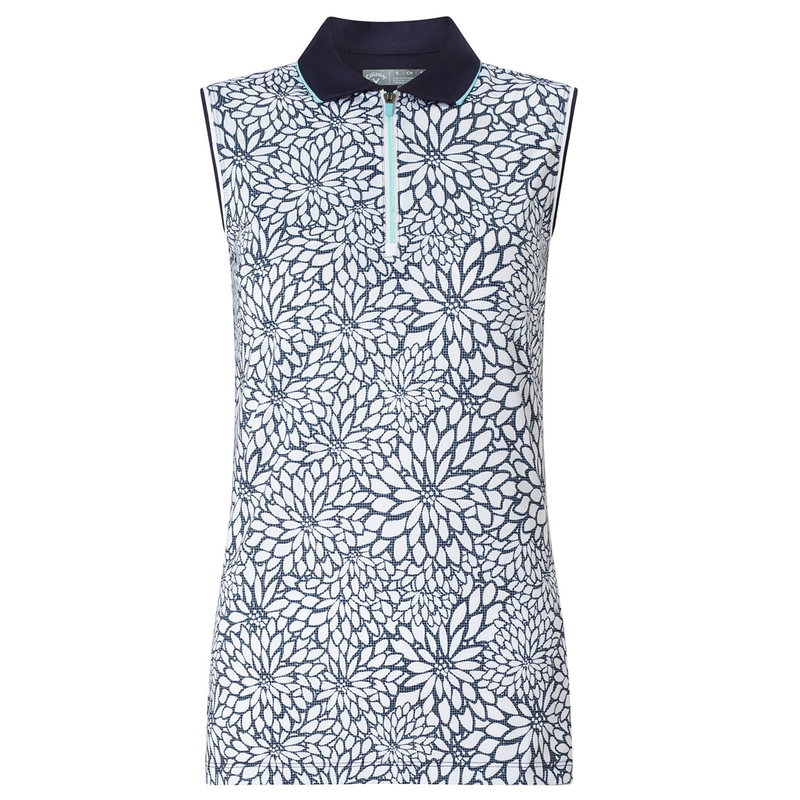 This highly functional and fashionable polo shirt has a beautiful floral print, and is sleeveless to give you the freedom and confidence to swing freely. The garment also has an element of stretch to give the wearer greater mobility through any athletic movements associated with the golf swing. 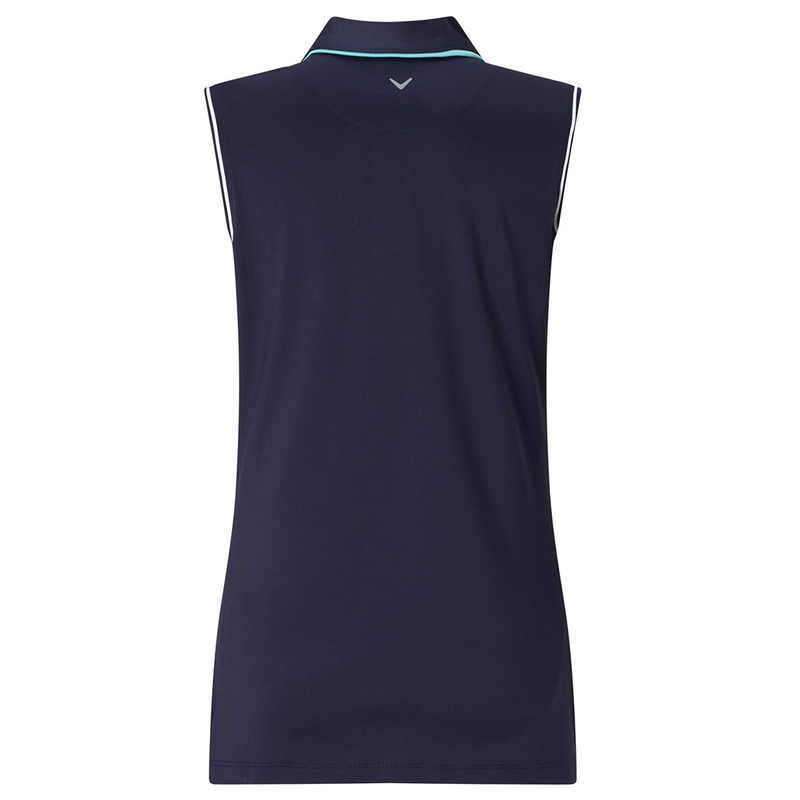 To give you added comfort the shirt features a moisture management system, and is wind and water resistant for an even better performance as you play golf. The design features a front metal zip for quick and easy changing, and is highlighted with a Chevron heat seal on the back collar, and a metal Chevron zip pull.